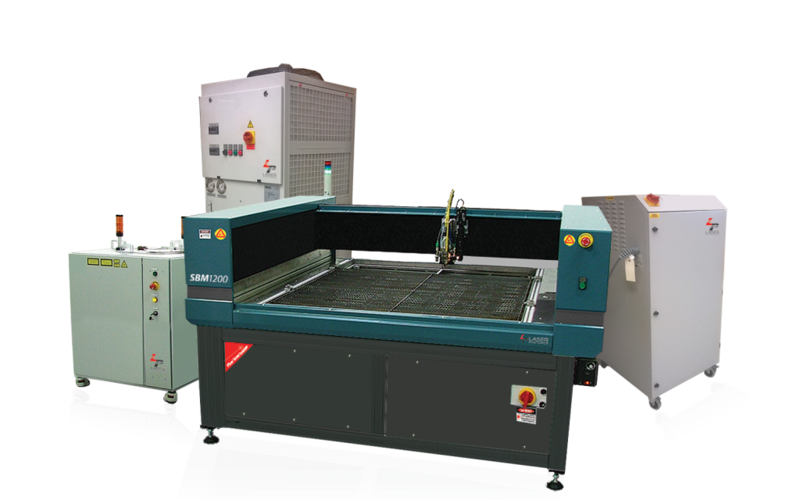 Laser Cutting is a non-contact subtractive manufacturing technology that uses a laser to cut materials primarily used for industrial manufacturing applications. Laser cutting works by directing the output of a high-power focused laser beam melting the material leaving an edge with a high-quality surface finish. Laser Photonic’s family of industrial-grade, maintenance-free laser cutting systems are defined by unsurpassed technology advantages, ultra-low power consumption reducing monthly operating costs and repeatable pin-point laser placement performance setting new benchmarks in the cutting of complex patterns while setting new standards in edge-quality of workmanship. The company’s flagship performance advantage is Direct Drive Motion System (DDMS) technology, a maintenance-free magnetic based motion platform that is superior to any other mechanical motion system simply because it is an order of magnitude lower in resistance. All other competing technologies require larger, high-power consumption motors to offset higher-resistant motion systems that require routine replacement of parts due to continuous friction based wear & tear. The lower the resistance, the faster the velocity and acceleration that translates to superior laser placement accuracy, complex pattern cutting, and smallest through-hole cutting diameter. The lower the resistance, the smaller the motor required to transport the laser across the cutting surface that translates to the lowest system operating costs due to significantly lower monthly utility demands and maintenance-free technologies. Another significant maintenance-free technology advantage is the use of fully-sealed encoders that permanently eliminate conditions for laser placement errors and material jamming accidents associated with optical encoders that occasionally break or lose location accuracy due to accumulated debris obscuring the optical location functionality. The use of a light-weight aluminum bridge substantially reduces the total weight placed on the motion system platform further reducing power consumption demands compared to heavier bridge materials used today. 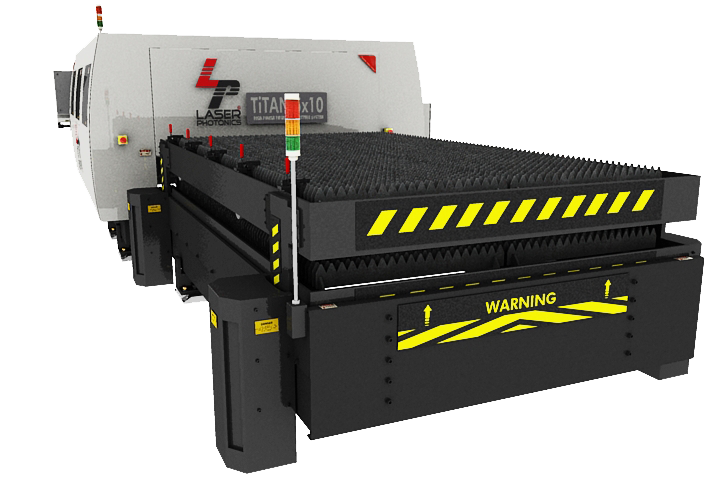 The large format fiber laser cutting Titan FX Series is a state of the art design combining the latest developments in motion engineering automation, PC-based CNC control programming, and next-generation high-power Fiber laser technology optimized for highly-reflect metals including stainless steel, mild steel, copper, brass and aluminum. 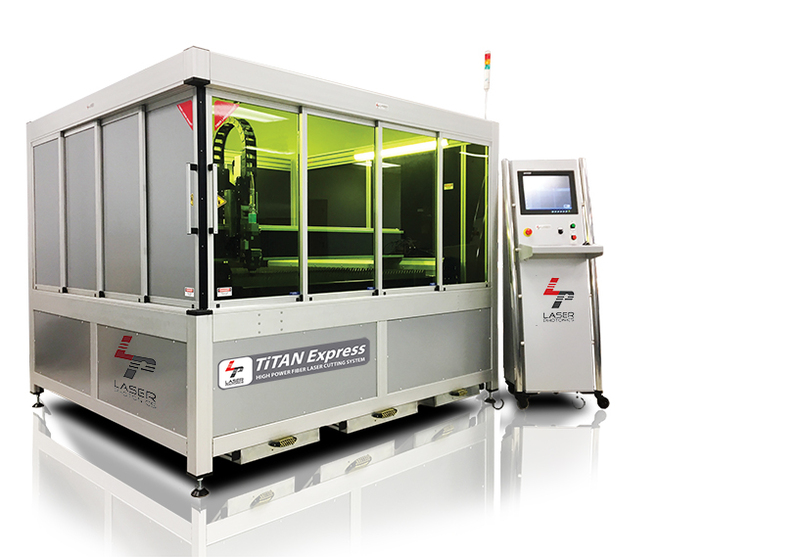 The Titan Express fiber laser cutting system offers high speed, precision cutting that fits in your facility as well as your budget. Titan Express has all the technology of our legendary TitanFX Series with ¼ of the space required. Designed with the latest high power fiber laser technology, CNC Controls, and cost-saving features – this is the ideal system for manufacturers and fabricators. The SBM1200 series is a generational leap for mid-size, native g-code CNC programmable machinery supporting material sizes out to 4’ x 4’. 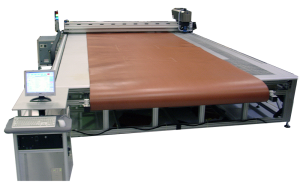 Available with either a high-power Fiber or CO2 laser, the SBM1200 is a multipurpose cutting & engraving system optimized for highly reflect metals (stainless steel, mild steel, copper, brass, aluminum and non-transparent plastics) as well as leather, rubber, plastic, foam, acrylic, ceramic, wood, fabrics, paper, marble and plexiglass. Supports extra large materials out to 127.5” x 192” able to cut large size aluminum components for aircraft, automotive and missile skin applications. The SBM2800 also cuts/engrave stainless-steel, mild-steel, copper, and brass. Ideal for leather & non-transparent plastics. 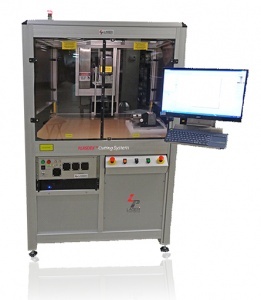 This system will achieve a level of quality and detail that is unprecedented in the industry for large size laser cutting and engraving systems. It can cut/engrave stainless steel, mild steel, copper, brass, aluminum, leather, non-transparent plastics, plaques, create stencils, and more. 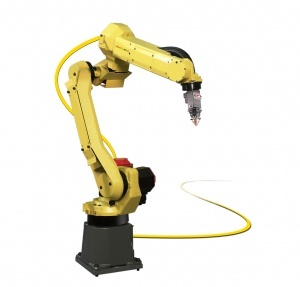 The Cobra Robotic laser welding & cutting series is in partnership with FANUC for the latest in robotic arm advancements integrated with Laser Photonics next-generation low power consumption Fiber laser technology. 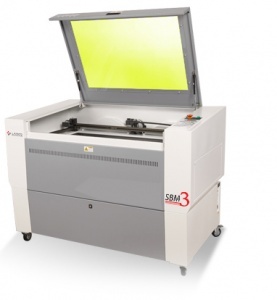 The SBM professional series is a family of CO2 laser flying optics systems designed for laser cutting and laser marking a wide range of materials. A versatile system that supports flat, curved surfaces, cones and other uneven surfaces. The SBM series will work equally well marking or engraving curved surfaces, cones, uneven surfaces, and flat sheets. The PLASDEX™ laser cutting and laser marking system is a specialty Galvo-driven high-powered CO2 laser machine incorporating a large exhaust vent directly over the processing area capturing all fumes and contaminants through a series of HEPA filters designed for the most demanding applications. 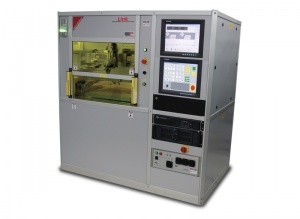 The Link PFLC cutting system is designed for high-precision intricate cutting applications using native G-code CNC programming. The machine includes a granite base and can perform effective N2, AR or O2 gas assist cutting under pressures up to 250 psi. Contact us about your needs and we’ll provide information on the right solution for you. You have successfully subscribed to the Laser Tech Newsletter! Subscribe to our weekly newsletter to stay up to date on the newest material processing laser applications, product features, and technology updates.